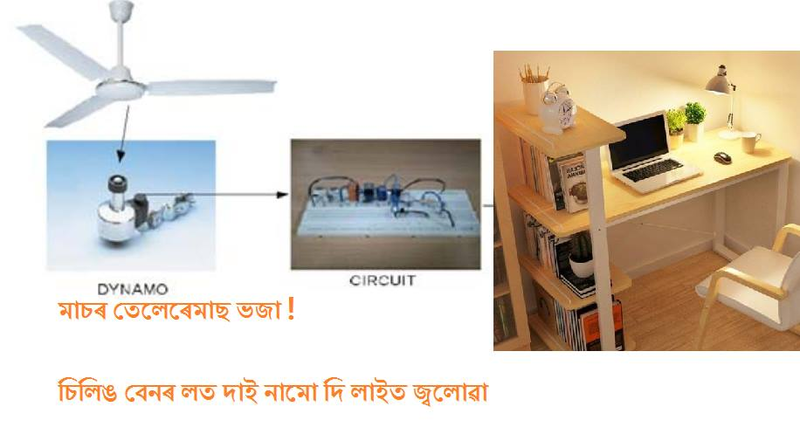 EXtract ceiling fan electricity for nice table lamp ! ceiling fans have a rotational energy that is wasted ... a feewsmalle magenets and coils can be used to extract that . you said Joule Thief? you said Joule Thief? It’s a little wisp of a circuit that allows you to drive aPOWER LED from a low voltage. Normally, if you want to light up a blue or white LED you need to provide it with 3 – 3.5 V, like from a 3 V lithium coin cell. But the magic of JT is a 1.5 V battery like a AA cell simply will work. Easy make Joule Thief, works like a charm. Not only does it work with a brand new battery, but it works until the battery is nearly dead– down to 0.3 V.
That’s well below the point where your other toys will tell you the battery is dead, so it can steal every last joule of energy from the battery (hence the name). how about a cellphone charger , yes it is doable , we are here to give you a usable tested diagram . get the ring toroid from a OLD smps of pc ! 40seconds printed circuit boards Trick here ! Vivo V7 phone Ya kasra !